# Posted by V. T. Eric Layton on 19 September 2011 in Whatnots and tagged blogging, new blog, Tumblr, Tuppence Times, writing. You really do have way too much time on your hands. 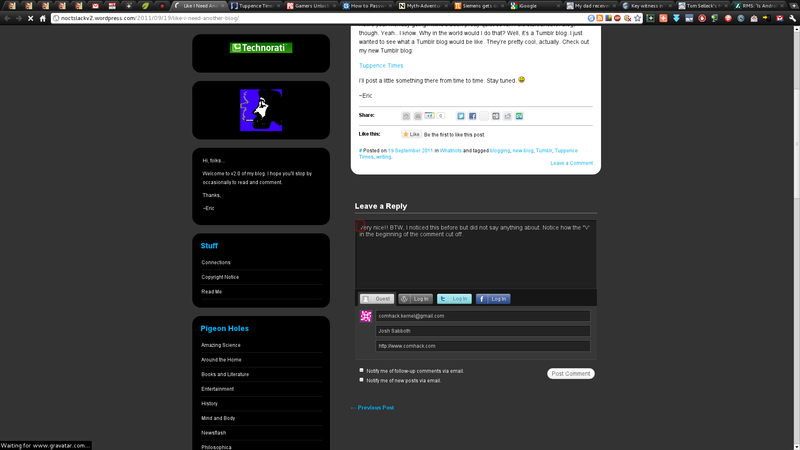 I don’t even have time for one blog, let alone, let’s see, how many do you have now? Hope your having a good day. Mine’s a been a little stressful. Will be going home soon. Hope you had fun Sat. at your birthday party. YES! Had a wonderful time at my “over-the-hill” party. I had black balloons, a yummy cake, good friends, etc. Ronnie may have even given me and the rest of the guests something extra… a cold. Atchoo! We’ll see. I should start feeling symptoms by tomorrow night, if I’m going to have the full-blown version. Oh goody! 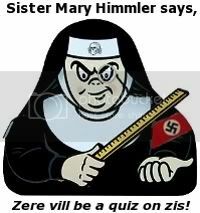 To go with the Sister Mary theme, “Zis message vil repeat in Inglisch”.